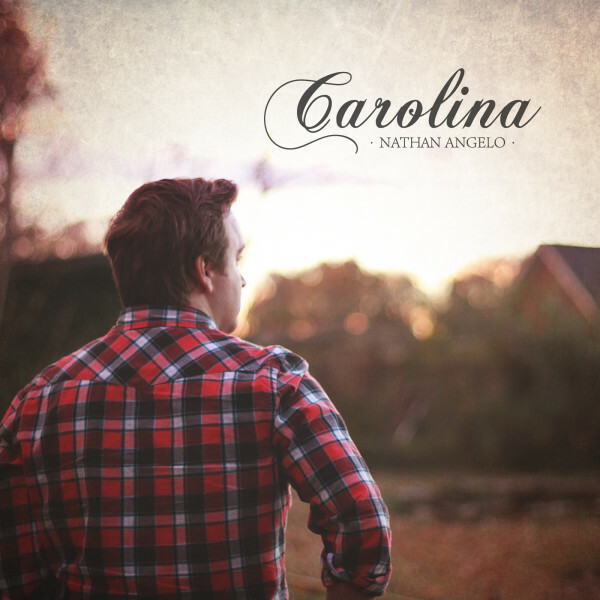 It’s been a little over a year since soul troubadour Nathan Angelo’s last release, the stellar “Out of the Blue”, but the singer-songwriter has certainly developed his sound on his new EP, “Carolina”. Maybe it was the rigorous touring that the Greenville singer and his band engaged in promoting that last release that has honed his format into that of a more potent pop juggernaut, but the album sales in excess of 30,000 don’t lie; Angelo has connected with audiences while progressing his style from his simple, yet powerful refurbished ’60s/’70s soul. While the piano man still has his soulful vocals as his core attack, ’70s rock, R&B, folk rock and even a little alt country combine on his new release into a sleek pop production, courtesy of working with Stephen Gause at Invertigo Studios in Nashville. Opening track and quite obvious lead single “Carolina Save Me” makes no apologies about its sources. As the piano kicks off, listeners might think they are hearing “Tiny Dancer” at the start and the lyrical allusion to Elton John later shows that Nathan knows that you know that he knows. On display here besides mere hero worship is that voice, though; thick with feeling and not too quick to bed you down, Angelo nevertheless knows that he is going to conquer in the end. I feel a bit of connection here to another singer known for singing about Carolina, James Taylor, and that shows up later in EP, too. The whole record has a sometimes strict/ sometimes loose adherence to a concept about South Carolina, and the first song is the strongest example of this. Probably not as structured as the obvious concept behind his last album, there is still a satisfying thread connecting the songs here. Second song, “Find My Way”, has Angelo getting back into Al Green mode, vocally, but cutting a up a little more musically. With electric guitars throwing out rock licks behind the rolling drums in the middle section, I once again get that same Steve Winwood feel I caught on his last release, which suits the song perfectly. 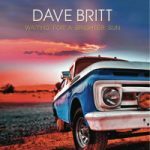 “Never Alone” has a slight alt country vibe to match the pastoral lyrical theme, but its main drive is poppy ’70s rock. A great, catchy, feel-good chorus anchors the whole affair. “Fools in Love” finds us back in the soulful rock territory of say, Hall and Oates, with serene yet powerful vocals that remind me of the aforementioned James Taylor. 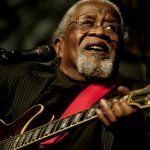 “Dancin Through the Rain” has a more modern take on soul. With some nice organ in the back, this one conjures up images of what Billy Joel would sound like if he put out new material more regularly. The catchiness of this track is juxtaposed by the last song, “Dear Irene”, a somber piano ballad that ends the EP with a wistful feel. While not afraid to shine the light into the caves of his musical ancestors, there is still a welcome expansion of sound in the new Nathan Angelo. More diverse stylistically, but not ever dumping or regretting where he came from on earlier recordings, Angelo is hitting his artistic progression just the right way. One can’t help but think that, on the picture on the front cover of “Carolina”, Nathan Angelo is not just looking at home, but his kingdom, also.